Ok, so you’re just starting out and beginning to launch mobile campaigns. There is already a tremendous amount of information to learn and skills to refine. Then all of a sudden you hear the word landing page… oh no, I have to learn to code too? Really? And before we get too far, let’s define what “ripping landing pages” mean. It simply means to do research on your competitors and marketplace to identify what types of marketing creatives are currently popular – and then making a copy for yourself. Usually it is safe to assume that if something is popular, it is working. 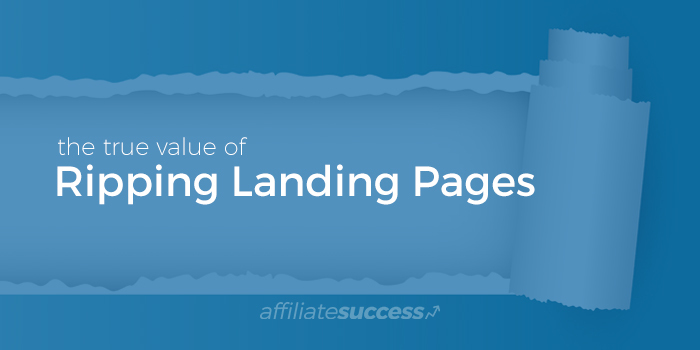 What I want to speak on today is… the true value of ripping a landing page. Is it necessary to rip landing pages or can you just direct link? You can certainly do both but most of the time you will need to use a landing page to find profitable campaigns (in general). Are Competitive Intelligence (Spy) Tools Worth Getting? The short answer is yes, but keep reading to understand the full picture. Spy tools can feel a bit pricey and you may hesitate in the beginning and not want to sign up to one. After all, the average price point seems to be $200 per month… wouldn’t you rather just use that for testing? WRONG! Do not just use that extra budget for testing, you will find that it costs you a lot more in the long run. Reduces Time – Learning how to build landing pages requires time, especially if you do not know any coding already, but even if you do have some coding skills under your belt, there is a specific science to building and tuning landing pages. Learn What Works – When you first step in to this arena of being an affiliate and especially if you do not have any background in marketing, you really don’t have a clue about what works and what doesn’t work. Every type of paid traffic must be approached differently, every vertical or offer type has certain styles and influences that will determine if a campaign is successful or a failure. Faster Execution, Optimizing and More Profitable Campaigns – Because you are ripping landing pages that your competitors are actively using right now, you can almost jump right to the same playing ground that they are in. Meaning, you don’t have to focus as much on the landing page testing and you can put all your focus on finding the right offer, traffic source and/or country to promote. This tip alone holds most people back. 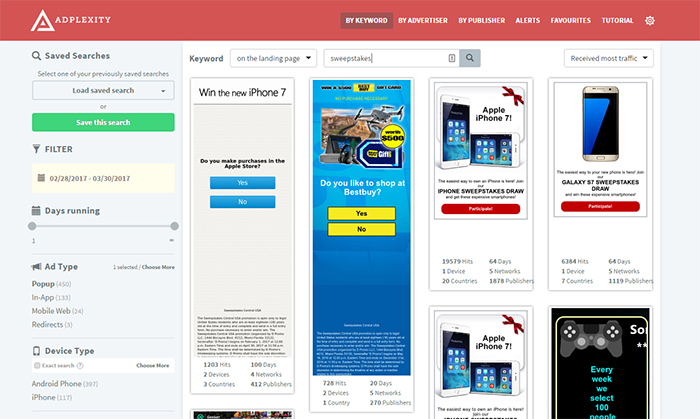 We know landing pages are very time consuming to build (as mentioned in point 1) and being able to quickly grab landing pages for any offer and any country in just a few minutes will allow you to test a lot more campaigns. If you’re serious about growing your affiliate marketing business and reducing the time it takes to get up to speed in this industry, you need a spy tool to find landing pages quickly. Now, as you get more experience you may not need to use a spy tool as often but it will always be useful for both ripping landing pages and taking a peak at which markets are currently hot. Enough said. I’m not going to sell you on it but if you choose to check out a spy tool I would suggest saving yourself time and checking out this one first. When I began launching campaigns, this was the only spy tool I used for ripping landing pages – and it still is to this day. I understand that when starting out your budget may be limited but finding even just one profitable campaign will greatly make up for the cost. The founder of AdPlexity reached out to me and offered to provide my friends and fellow affiliates an incentive to try it out. Normally the cost is $200/month but if you use the coupon code AffiliateSuccess it will save you $50 off the monthly cost. Several of you have asked me through email how I found my first successful campaign. Well, that was a result of ripping a landing page for a utility app offer and testing it in Brazil on Zeropark. That didn’t work so well, so I ripped some more and tested Indonesia… a few days later I was making $300/day profit. So, believe me it works. Stay tuned for some AdPlexity and landing pages video tutorials coming soon! Great Tips thank you, please can you tell me where you host your landing page, and did you use a unique domain name for each of your campaign. I use Rackspace and my own server but I also use Amazon S3/CloudFront at times. My landing pages are on different domains than my campaign links.